Each year the Alberta Association of Gerontology awards one recipient with $1000.00 (one thousand dollars) to complete education programming of their choice related to care of seniors in Alberta. There is an application process and the award will be made on May 9, 2019 in Calgary, Alberta. The deadline to apply is Thursday, May 2nd and you must complete and submit an application form to enter to be eligible for the award. The Alberta Health Care Aide Directory provides information on Alberta’s largest group of care providers in continuing care. Health Care Aides (HCAs) are important and respected members of Alberta’s frontline healthcare and an important part of helping Albertans receive quality, person-centred care. Did you know it is mandatory for HCAs to enrol in the Directory? Want more information about the Directory? Sign up for our newsletter that provides information and updates about the Alberta Health Care Aide Directory Project. 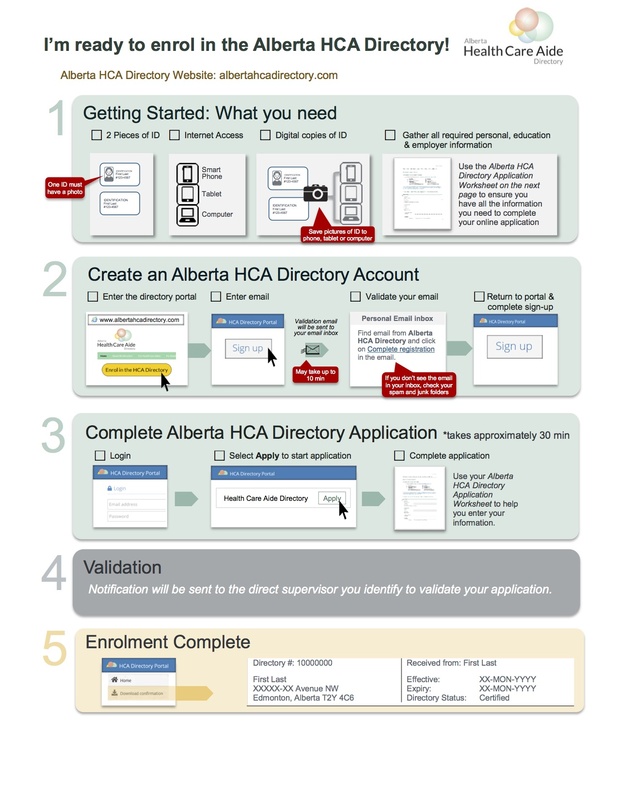 Please download the checklist above, print, and share to help us promote information about the Alberta Health Care Aide Directory.